Why You Should Have an Optimised Mobile Website? Over half of all businesses now operate mobile-optimised websites – are you falling behind the curve? Mobile-optimised websites are no longer optional – they’re as necessary as it gets. Statistics have shown that when a mobile web user lands at your site, only to find it hasn’t been optimised for mobile devices, there’s a 65% chance they’ll leave and never come back. What Is Mobile Site SEO? Mobile website search engine optimisation refers to the process by which a mobile website or mobile version of a primary website is optimised in order to appear prominently in search engine rankings. Mobile SEO is somewhat different from regular SEO because of the way mobile searches are carried out. As such, in order to reach mobile we users, it is crucial to run a website that is fully optimised for mobile. Why Does Mobile SEO Matter? As mentioned above, the statistics speak for themselves. On-going polls have shown how the vast majority of mobile users will refuse to give a site a second glance if it is no clearly mobile-optimised when they first lay eyes on it. And after receiving such negative first impressions, they won’t be back either. Why this is so significant right now comes down to how the mobile revolution is in full swing and accelerating by the day. Desktop web search volumes are being rapidly overtaken by mobile searchers on a day to day basis, as the world replaces conventional computers with tablet PCs and smartphones. This represents an enormous challenge and an unprecedented opportunity at the same time. For those that get it right, mobile SEO can bring incredible exposure and boost both profile and conversion rates like nothing else. By contrast, fail to keep up with the mobile revolution and you’re on thin ice going forward. Easy-to-use drag & drop web builder – You can easily edit the site yourself whenever you want to! Free 1 Year mobile web hosting from FreeVirtualServers included! 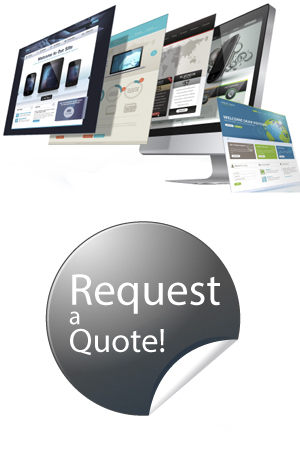 We offer the full SEO Optimised Mobile Website as a stand-alone package. You don’t need to worry too much about what option is right for you, let us work it out by talking to you about your specific website and what your needs are. Call us now on 0333 332 6396 to find out more about this exciting new service!